Another player in a massive scheme to defraud the North Carolina Medicaid Program has been sentenced to prison time. Shephard Lee Spruill, CEO of Carolina Support Services in Greenville, NC, was found guilty of health care fraud conspiracy and perjury and sentenced to eight years in prison. The court also ordered him to pay back the nearly $6 million he helped steal from the taxpayer-funded health care system. Spruill was one of many health care providers and administrators involved in the con, which was initiated by behavioral health care provider Terry Lamont Speller and his biller, Donnie Lee Phillips, II. According to court records, Spruill provided the names of hundreds of patients from his health care practice to Speller. Speller then told Phillips to use the names to bill Medicaid and Medicare for made-up medical services that were never provided. The three men split the profits, with Spruill receiving his through no-document loan repayments. Despite his clear connection to the fraud, Spruill blatantly lied under oath in front of a federal grand jury. He told the jury that he had no business relationship with Speller and that he was not involved in the conspiracy. The court saw through his story, however, and he was sentenced to 60 months in prison for perjury, which he will serve concurrently with his eight-year sentence for the initial health care fraud conspiracy charge. The investigation uncovered that Spruill was also involved in a similar fraud conspiracy in South Carolina. Taking advantage of another health care practice he owned there, Spruill falsely billed the South Carolina Medicaid program for millions of dollars’ worth of services never provided. Spruill is the latest person to be sentenced, but he may not be the last—Speller’s conspiracy was far-reaching and went on for at least five years. It first caught the authorities’ attention in 2010, when the North Carolina Division of Medical Assistance (NCDMA) began investigating one of Speller’s medical practices for false billing. Speller couldn’t provide proof that the services were actually rendered, and the NCDMA suspended him from being a Medicare provider. However, that didn’t deter Speller—he found new ways to scam the system, even submitting fraudulent claims through illegal companies using the names of other providers. He enlisted other health care professionals (like Spruill) and promised them a cut of the money in exchange for their assistance. The fraud finally ended in May 2015, only because Speller was arrested for driving a witness off the road and threatening to kill him if he testified against him. Speller’s threats were no use: at trial, the prosecution presented stacks of fraudulent medical records, clear evidence that Speller had intentionally and repeatedly cheated taxpayers out of their money. He was sentenced to 20 years in prison in March 2016. Speller’s billing assistant Phillips was his second in command. He became involved in the fraud in 2013, when he began sending fake reimbursement claims to Medicaid and Medicaid Managed Care organizations on behalf of Speller and others involved in the conspiracy. He used the names of more than 2,000 children to file fraudulent claims for medical services never provided. Phillips was finally brought down when he was caught on tape coordinating the false billing by a confidential informant. Phillips was charged with health care fraud conspiracy and aggravated identity theft and sentenced to nine years in prison in December 2016. He was also ordered to pay restitution and forfeit a truck, boat and boat trailer he purchased with the $300,000 he made through the scheme. Spruill, Speller and Phillips got some of the harshest sentences, but they caught others up in their web, too. Reginald Saunders, another Medicaid provider who was involved in the plot, was sentenced to one year in prison in 2016. Additionally, a Murfreesboro, NC nurse named Christine Hicks Thomas was stripped of her nursing license and faces up to five years in prison for her involvement. According to prosecutors, Thomas facilitated the fraud by authorizing outpatient treatment for Medicaid recipients without verifying whether or not it was medically necessary. Her role in the fraud was uncovered when she was recorded exchanging signed medical orders for a cashier’s check in a parking lot. 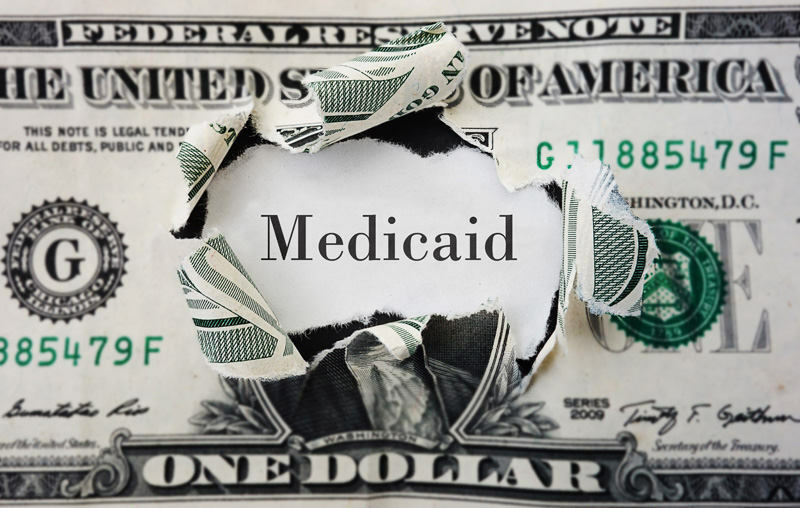 Along with losing her license, Thomas had to surrender any interest she had in any medical providers that bill Medicare or Medicaid, and she lost her right to enroll in any government health care programs. Spruill, Speller and their co-conspirators are behind bars now, but other providers in North Carolina are certainly planning similar schemes. If you have information about health care fraud happening in your area, you may be eligible to file a lawsuit and potentially earn millions of dollars as a reward. Contact us today to learn more about your options.